The olives are done! Their flavor was different from what I was expecting but definitely not a bad flavor. Their texture is a little soft – for a firm texture it was suggested that they be kept cold but our small fridge was not so accommodating. I’ve gotten used to their soft texture and will chop up some olives for olive salad for B who doesn’t like the texture too much. I’d say it was a success! 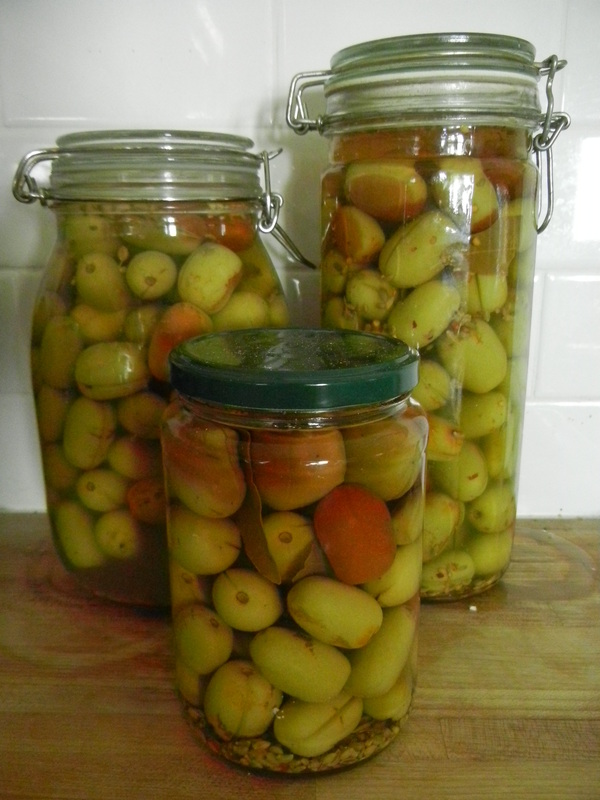 Next year’s foraged harvest will be more productive and I’ll try to fine tune the olive brining.